The Plaza Bella shopping center, located on Bloomingdale Ave., just East of Bell Shoals Rd., has a store for every need. This plaza features food and sweets, exercise and health, as well as pampering and shopping. What makes Plaza Bella special is that each business is owned or co-owned by women. This plaza, which recently just participated in their annual Plaza Bella Goes Pink walk for breast cancer, is a perfect representation of women in business. Asana Yoga has been serving Brandon and the surrounding community since 2009. The studio offers a friendly and welcoming space for beginners and seasoned yogis alike. Classes range from yoga for stress relief, gentle, pre-natal, ballet barre, kids yoga and hot yoga. Asana also offers several specialized series including Yoga 101 and Mediation 101. The series meet four weeks in a row allowing students an opportunity to learn the fundamentals step by step in a non-competitive environment. Asana offers new students an opportunity to try the regularly scheduled classes with its one month unlimited package for only $60. For those wanting to start at a slower pace, the studio offers a six class package for $60 which can be used up to three months. The studio’s owner and founder is Barbara Motte, a long-time resident of the Brandon area. Motte graduated from Brandon High School and attended University of South Florida. Visit www.asanayogaofbran don.com or call 390-3887. Owners Rose and Scott Laviano are high school sweethearts from Massachusetts. The name “YoYo” was invented by one of their sons as a way of saying “You’re on your own for dinner” when the family had different activities going on. It ties in with their business as, “You’re on your own when it comes to your health”. YoYo Juice smoothies have no-sugar added and are completely customizable to the customer’s taste and they have the lowest juice prices in the area. It offers juice cleanses that are fresh-squeezed, made-to-order, gluten and preservative free. Yoyo Juice offers the convenience of online ordering, provides smoothie parties as well as catering of their gourmet salads and wraps. YoYo Juice also offers $1 Wheatgrass Wednesday where customers can get a 1 oz. wheatgrass shot for just a dollar, and lunch combos where customers can save $2 on a medium or large sized smoothie and a wrap or salad. Visit www.yoyojuice.com or call 653-4300. Mathnasium believes that building character and confidence in young people is extremely important. Confidence in math can change a student’s world. Helping students become more confident will help them understand that math is not about learning to be ready for the next math class, it’s about learning to think. Owner Becky McDaniels was a teacher before she began the Mathnasium Brandon location. There are many fun things at Mathnasium like estimation jars, BRAG Board, the annual TriMathlon, Math Nights at local elementary schools partnering with Chick-fil-A, Club Radical game nights and more. Mathnasium is a great place to build confidence and works on developing that strong ‘number sense’ that is a foundational piece that will help children succeed in math. Visit www.mathnasium.com/brandon or call 655-6284. Salt therapy has recently become a popular treatment. 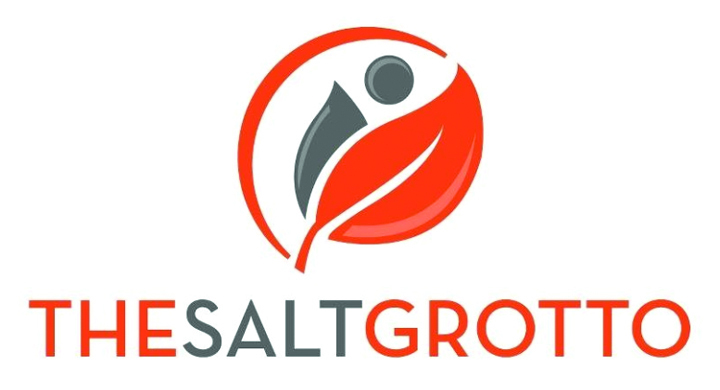 The Salt Grotto recently relocated into Plaza Bella and offers restorative and theraputic sessions in a salt room or salt bed. Owner Susanne Murray is passionate about her business and how much it can help those who try it, and is happy to announce that they now offer acupuncture. Sessions for salt therapy start at $45 for one session. Monthly memberships are available for $250. First time clients can get a session for $25. For children, the sessions start at $35 for one, and the salt bed session also starts at $35 for one session. The Salt Grotto is open Monday through Friday 10 a.m.-7 p.m. and Saturday 10 a.m.-5 p.m. Visit www.thesaltgrotto.com or call 324-8946.